Ok Mommy chef’s out there. Here is a proposition for you...give your little ones a cooking experience with no mess, no clean up and no permanent damage to your kitchen. Yes technology has gifted us the Baby Chef cooking app for just this purpose. I cook a lot from scratch and my kids help me in the kitchen too. 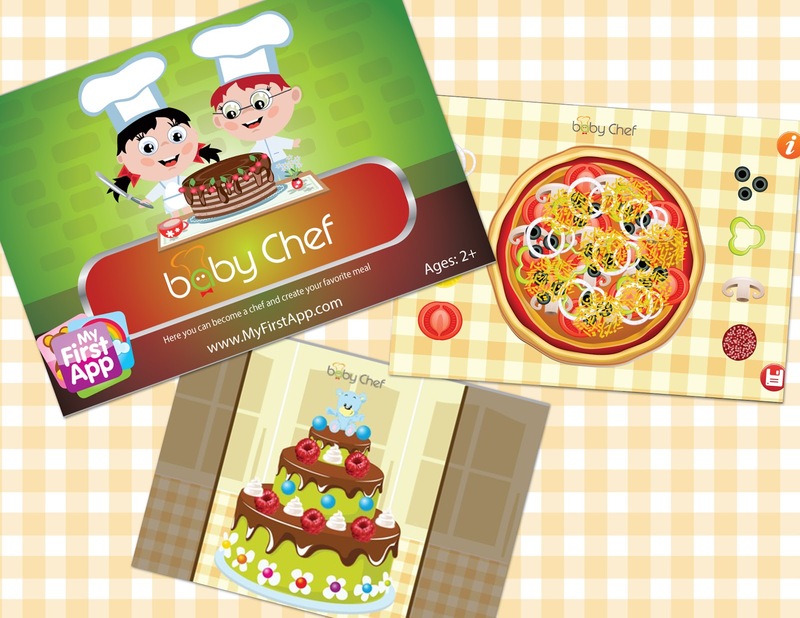 This app actually allows me to cook and allow my little ones to feel like they participated. Voila, dinner mission accomplished! My 5 year old little chef loves pizza and sushi, yes sushi. All the food preparation and dish choices are so much fun and sure to please. From pizza, cake, sushi and salad your child touches the ingredients or foods and adds them in the dish or plate. You can save your creation in your photo album to send to daddy, friends and family. I just got the App. I agree cute and bright colors. Hello Isabelle: I've added you back to one of my circles at Google+. See you follow Peggy Hale :) I also enjoy cooking from scratch, when I can spare the time. I think half-scratch cooking is great fun too, and 1/2 the time! Have a nice day.